Rev. 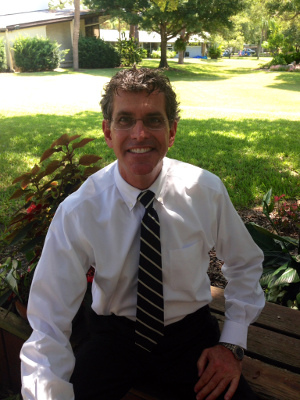 Dr. Wes Bixby began his ministry as Senior Minister of First Congregational United Church of Christ in January 2014. Wes was born in Iowa. He attended United Theological Seminary of the Twin Cities. It was in the Twin Cities where Wes met his wife Gina. Ordained by the UCC in 2001, he has served congregations in New Hampshire and Wisconsin. Wes and Gina have two children, Ethan and Olivia. In his spare time, he enjoys reading, running, laughing, watching movies, and maintaining his blog: www.gracetraces.blogspot.com. Gregory Chestnut has served as Minister of Music since 1989. He received Bachelor and Master Degrees in Organ from Indiana University, Bloomington, IN. A noted church organist and choir director, Mr. 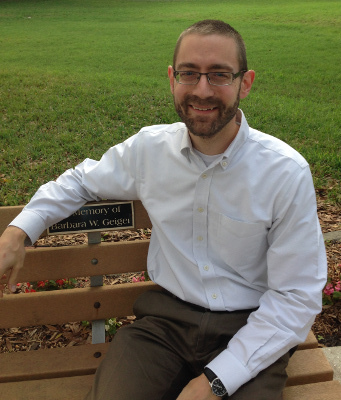 Chestnut has served churches in Indiana and Florida. Lori grew up in the church when her family moved to Sarasota in 1962. She was an active member enjoying youth events, Sunday school, Vacation Bible school and the children’s choir. She married her next-door neighbor, Michael White, and together they raised their two children, Kelly and Kevin. She worked for 40 years in the Sarasota County School District as a teacher, curriculum specialist, director of curriculum, associate superintendent and superintendent before retiring in 2017. She is currently enjoying her three grandchildren, singing in the choir, volunteering in schools and doing some consulting with school administrators. Warren is a 2015 retiree from Boston, Ma who recently served as the Chair of Church’s Finance Committee and a member of the Church Council; he is a Deacon Emeritus of the Wellesley Hills Congregational Church in Massachusetts. With his wife, Barbara Smith-Bacon, they raised two children in Newton, MA, where they had a deep connection to the church, a number of non-profits and their community. 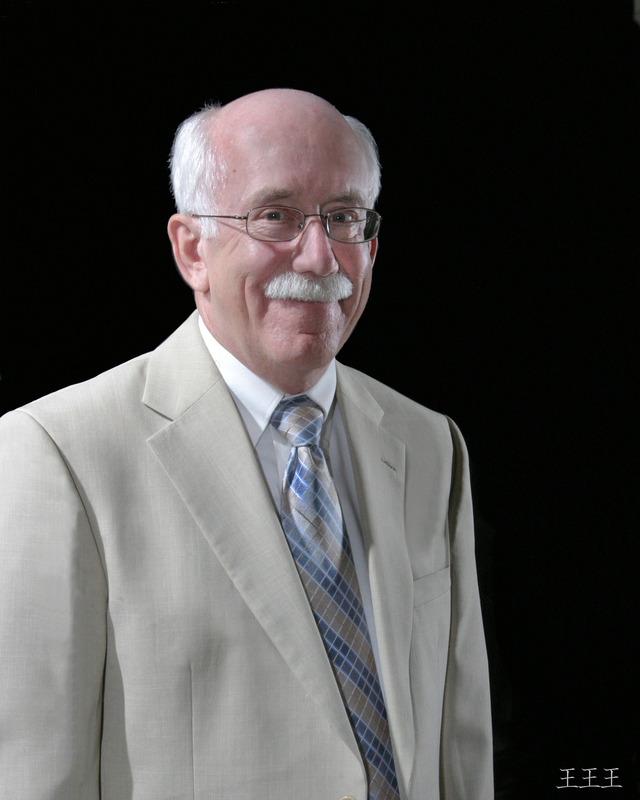 Warren spent 40 years in Chicago and Boston as a banker and management consultant. He enjoys photography, bicycle trips, cooking and science fiction. Immediate Past Moderator ~Bob Goldman, Sr.
Bob Goldman was born and raised in Barrington, Illinois. He attended Northern Illinois University and besides earning his BA and MA there, he met his wife Betty. Together they have forged a life together with three boys and three grandchildren. Bob began his career as an English and Speech teacher in suburban Chicago. He then went on to the University of Iowa where he earned his PhD in Educational Administration. After working a few years in Brockton, Massachusetts, where he was also the Lay Leader for the downtown Methodist Church, he began his first superintendency in South Windsor, CT. There he joined the Congregational Church and became deeply involved as a member of the Stewardship Committee, the Church Council, and co-chair of the church’s Long-Range Planning Committee. After 42 years in education, Bob and Betty retired to Sarasota and joined First Congregational. He has served as a deacon, and chaired the Serving Others Committee, as well as being a member of the Church Council. Bob and Betty also serve as coordinators for Family Promise and remain committed to this worthy organization and its commitment to homeless families. Office Manager: Bobbi Miller; Parish Nurse: Julie Pennella; Campus Manager: Mark Swain; Bookkeeper: Bill Lewis; Collector: Gordon Quimby; Newsletter Team: Wes Curry, Thom Reeves and Contributing Photographers: Susan Moore. Rev. Dr. John E. Syster. After serving as the Senior Pastor of First Congregational United Church of Christ for 29 years, Rev. Dr. John E. Syster was elected Pastor Emeritus upon his retirement in 2012. He is a native of Massachusetts, grew up in the Midwest, and was educated at Doane College and Chicago Theological Seminary. He earned a D.M. from Eden Theological Seminary in 2001. He previously served churches in Iowa and Florida.